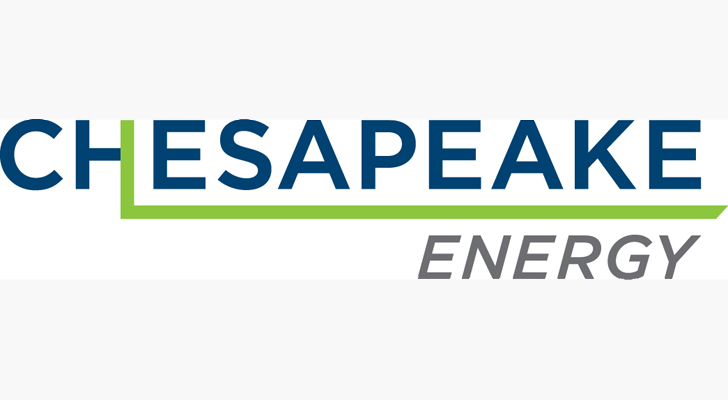 The struggle for Chesapeake Energy (NYSE:CHK) to survive continues. The Oklahoma City-based natural gas giant continues to fight, even as a heavy debt burden left over from the last previous oil boom weighs on CHK stock. However, CHK has turned to profitability. Moreover, improving oil prices and market opportunities appear to help stocks such as Chesapeake. Given these factors, investors might find that the rewards of CHK stock outweigh the considerable risks. The problems with Chesapeake’s balance sheet continue. Despite efforts to reduce the debt, the company still holds over $9.2 billion in long-term debt. Moreover, with the equity still trying to grow beyond penny-stock status, the market cap stands at $3.6 billion. Undoubtedly, the crushing debt continues to weigh on CHK stock. Moreover, the debt they roll over will likely come with higher interest rates, putting further pressure on the stock. However, The company now posts profitable quarters and asset sales have helped to ease the debt burden. CHK stock remains risky. The fracking innovations that put CHK on the map have also made natural gas cheap. As such, profits from natural gas have remained muted. The company has pivoted by focusing more on oil, which enjoys better pricing. With current oil prices at $67 per barrel, maintaining profits should not present a problem. However, a massive slump in oil prices could leave Chesapeake unable to service its debts. Still, it also looks like a worthwhile risk from other perspectives. Analysts predict an annual profit of 79 cents per share this year. That takes CHK stock to a price-to-earnings (PE) ratio of just above five. They also believe that the company will see average annual profit growth of 11.25% per year over the next five years. This could also create a virtuous cycle for CHK stock. If the stock price climbs and the debt falls, it could take the market cap to a higher level than the debt. This would stabilize the balance sheet, attracting more investors to CHK stock. Moreover, the fact that Chesapeake remains the second-largest natural gas producer in the country means it will likely benefit from a new niche in the industry — natural gas exports. Recent tech advances and the launching of natural gas export terminals by Cheniere (NYSEAMERICAN:LNG) and Dominion Energy (NYSE:D) have made it possible to export gas to markets in Europe and Asia. Natural gas fetches much higher prices in these markets than in the U.S. Hence, they could become lucrative markets for CHK natural gas as well. Furthermore, geopolitical tensions have risen again, particularly with Saudi Arabia. While the magnitude of this tension remains to be seen, such events almost always boost oil prices. Due to the political stability we enjoy in the U.S., Chesapeake should find itself well-positioned to benefit from such price spikes. Chesapeake’s crushing debt burden continues to make CHK stock a risky play. However, given the market, such risks may become worthwhile. Investors often want to avoid $3.6 billion companies that hold $9.2 billion in debt. Admittedly, this situation carries dangers. Seeing oil fall below $30 barrel, as it did in 2016, could send CHK stock to zero. However, I believe other factors indicate that the potential rewards outweigh the risks. First, Chesapeake earns a profit. Analysts believe those profits will continue to grow. And with the stock trading at a five PE ratio, it remains cheap. Both technology and geopolitical factors also weigh in favor of CHK stock. The new natural gas export industry can bring natural gas to higher-priced European and Asian markets. Moreover, relations with Saudi Arabia have worsened in recent weeks, and such tensions tend to increase oil prices. Given the risks, I recommend keeping any bet on CHK stock speculative and modest. However, I see factors that could bring investors outsized profits, especially if the market cap can climb to levels above the company’s debt. If one finds themselves in a betting mood, I suggest skipping the craps table and placing that bet on CHK stock instead. Article printed from InvestorPlace Media, https://investorplace.com/2018/10/risky-bet-chk-stock-frack-gains/.